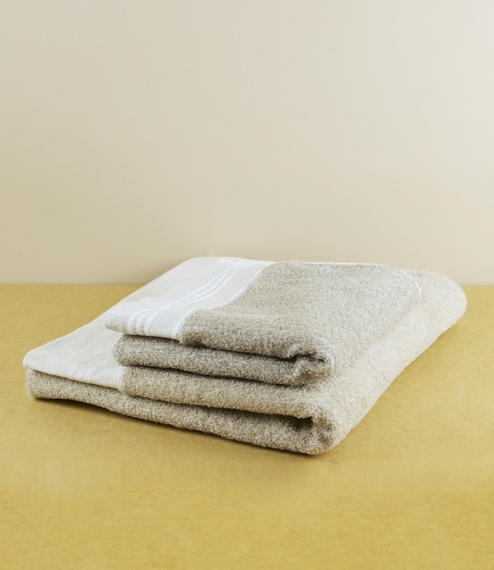 Woven using raw undyed, unbleached linen for the pile, with a cotton backing, giving a linen content of 66% by weight. 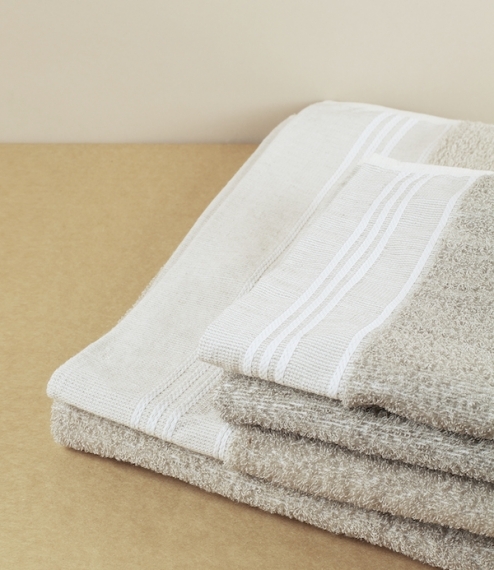 Woven in Northern Ireland, by a family company with over 150 years of linen weaving history. These are loom fresh and do require separate laundering before use, whereupon they will soften a lot, and shrink a little. 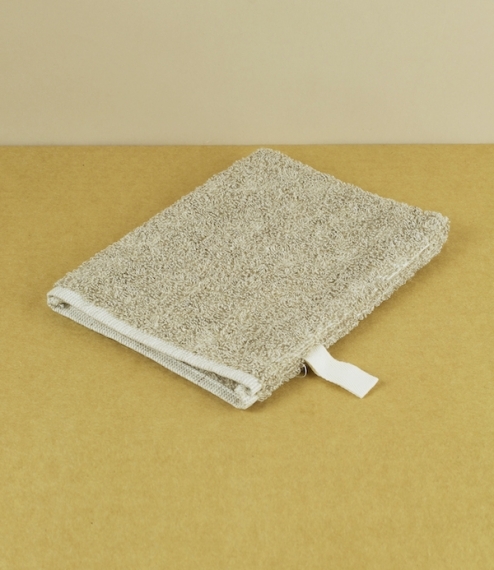 Bath mitt 21cm x 16cm, hand towel 47cm x 95cm, and bath towel, 70cm x 135cm. We're sorry all options are currently out of stock, email us here and we'll let you know when we have more. We are closed on bank holidays.